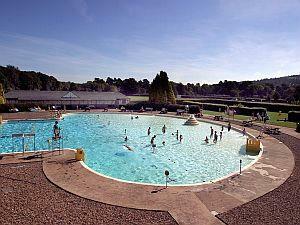 Ilkley Lido01943 600453work Swimming OutdoorTake the plunge at one of the country's few remaining outdoor pools. Soak up a seaside atmosphere, enjoy a picnic in the tranquil setting and take in the fantastic views over Ilkley Moor. 25mx11m indoor pool with spectator accommodation. Baby changing facility. Take the plunge at one of the country's few remaining outdoor pools. Soak up a seaside atmosphere, enjoy a picnic in the tranquil setting and take in the fantastic views over Ilkley Moor. It is advisable to contact us in inclement weather as the outdoor pool may be unavailable. Contact 01943 600453 for current prices. Bus number: 762/765 from Keighley. Trains from Bradford Forster Square Station to Ilkley.